Swim No.s and/ or places are strictly NON Transferable and NON Refundable once they have been allocated. The minimum age for the swim is set at 14 years old on the day of the swim. The Closing Date for entries is the 1st May or before if the maximum number of 300 swimmer is reached. Full Distance Swim = 180 minutes. Half Distance Swim = 120 minutes. Any swimmers still swimming after these times will do so at the discretion of the Safety Officer and his or her Safety Crew. (For info: the average swim time for the full swim is approx 2hours). There will be a £5.00 surcharge for late entries or for any changes made. Entries or changes are NOT permitted on, or up to 14 days before the event. Late Entries (if available) will also incur a £5.00 additional charge. The Safety Officer and his/her Safety Crew has the right to remove swimmers from the water at any time from the start of the swim on grounds of safety. You declare that you are aware of the risks inherent with open water swimming and that you are able to swim in open water in varying conditions and are confident in your ability to complete the distance required. You undertake to train and take part in this event at your own risk and hereby waive any and all rights to claim for loss or damages against RLSS Poole Lifeguard or individuals officiating, organising or supervising the Brownsea Island Swim arising out of your participation in the event, for any injury (including death), illness, and accident to your person, or loss of property resulting from any cause whatsoever. By completing the registration process on the morning of the swim, you declare yourself to be both healthy enough and physically able to complete the category/challenge that you have entered: without presenting undue risk to yourself, your fellow swimmers or any members of the event marshals / safety cover. You also accept responsibility for any personal belongings that you take to the Island, whilst not inside the baggage tents during the swim. 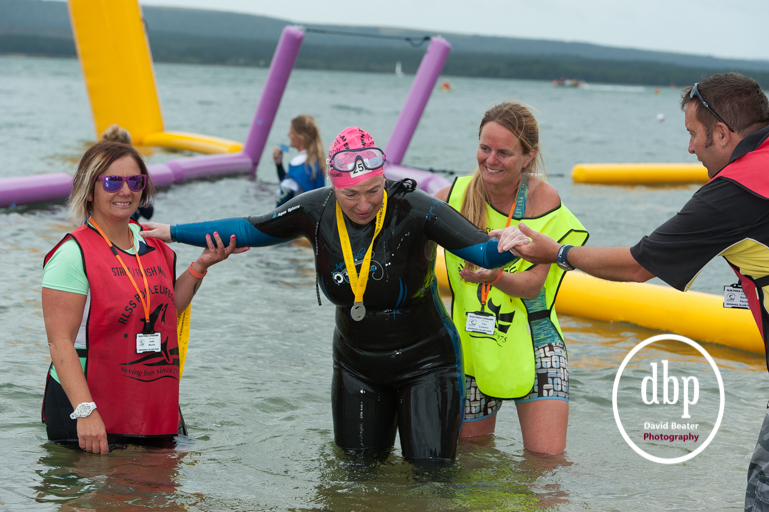 As an entrant, you are also reminded that you have a choice on the day of the swim as to whether you enter the water or not, and that you do so at your own risk. RLSS Poole Lifeguard and our associates undertake to provide safety cover for the event and will do so in an organised, safe and controlled manner. RLSS Poole Lifeguard reserves the right for whatever the reason, although mainly due to safety concerns, to cancel or vary all or any part of the event before and /or during the event. Spectators are NOT ALLOWED on to the Finish Beach. This is Private Property and belongs to the Brownsea Castle. Failure to comply with this will jeopardise the use of this facility and therefore the event in future years. The 1st public ferry arrives on the island at 10:hrs. As a ‘Wild Swimming’ event you are reminded that it is your responsibility to navigate your own course around the Island. Paddle craft are there for safety reasons only and to encourage you around the island, they are not there to guide you and therefore should not be relied on to do so.